CA Must Keep Control of Its Clean Energy Goals – Take Action! Scott Wiener in SF, Bob Wiecowski in Fremont area, Nancy Skinner in Oakland, Berkeley area, Jerry Hill in Silicon Valley, Steve Glazer in Contra Costa County, Bill Dodd in Napa, Solano Counties, Jim Beall in San Jose area and Mike McGuire in Marin, Sonoma Counties. Note that you are a constituent. The staffer may ask for your zip code or address. When you call, you will speak with a staff member from the representative’s office (or, after office hours, leave a message). The staff is usually instructed to simply verify you are a constituent and record your position (opposition to AB 813). Thus it is best to give a simple statement. One of the two statements below will work. Please oppose AB 813. It would turn over control of California’s electrical grid to out-of-state interests and the federal government. Please oppose AB 813. 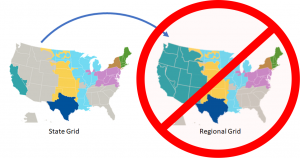 The proposed expansion of electricity grid to a regional one beyond what is happening will emphasize costly transmission lines out of state and make local clean energy less of a priority, likely undermining California’s clean energy goals. Additional Information and talking points on the bill can be found in this one page informational document. The list, that was in the last two Bill Analyses, of 120+ organizations opposing AB 813, can be found here.